Co-produced by Ickes & Hensley, BEFORE THE SUN GOES DOWN, seamlessly blends contemporary bluegrass with the spare studio stylings of classic ’60s and ’70s country music. Accompanied by some of the finest musicians in Nashville, the duo tackles a diverse group of songs, putting a fresh spin on the music of Jimmy Martin, Merle Haggard, Waylon Jennings, Billy Joe Shaver, Bill Monroe, Flatt & Scruggs, Stevie Ray Vaughn, Jimmie Rodgers and Bob Wills. 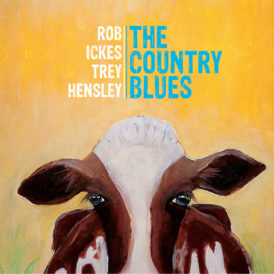 Stand out tracks include the title track, an acoustic country blues take on Vaughn’s “Pride and Joy,” a red hot version of Billy Joe Shaver’s “Georgia on a Fast Train,” a grassy rendition of Bobby Starnes’ “Lightning,” and the Trey Hensley original “My Way is the Highway.” Ickes discovered Hensley when he heard the 22-year old’s scratch vocal on a track for Rob’s band Blue Highway’s album The Game. 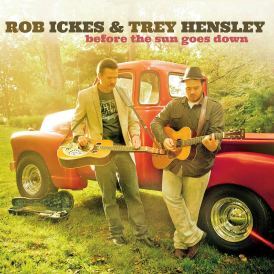 Ickes was inspired by Hensley’s striking vocal talent, invited him to play some live shows, and ultimately proposed the two musicians record a studio project together which would introduce Trey Hensley to the bluegrass and Americana world.